Home / Winger News / Posts / Motorsport / Subaru Brand Ambassador Ben Hunt has his Subaru WRX STi set up just the way he likes it. Subaru Brand Ambassador Ben Hunt has his Subaru WRX STi set up just the way he likes it. From the new sequential gearbox to the seating position and pedal box - everything now fits his tall frame properly. Heading into the opening round of the 2017 Brian Green Property New Zealand Rally Championship (NZRC) Subaru Brand Ambassador Ben Hunt has his Subaru WRX STi set up just the way he likes it. From the new sequential gearbox to the seating position and pedal box – everything now fits his tall frame properly. “The fine tuning we have been doing has made a huge difference to how the car feels” Hunt says. At the end of last season his team put in a new after-market Motec computer system in and has been busy developing it. “We’ve been setting up logging and flat shifting for the sequential gearbox,” Hunt says. The end result is that he is well prepared to tackle the Drivesouth International Otago Rally this weekend. It was the scene of his best 2016 result, as he finished second behind WRC driver Hayden Paddon. “It was a rush to get the car finished last year and we only just got it done for the first rally. There is a huge change from 2016 and we are in a better position now to take on the championship. The Subaru WRX STi is a wonderful car to drive and from now on we will just keep improving,” Hunt says. He has completed two testing sessions recently and was very pleased with how the car went. Like all rally drivers coming out of the off-season, he is chomping at the bit to get out on the first stage at full speed at the Rally of Otago. Joining him again in the Subaru WRX STi will be his long-term co-driver Tony Rawstorn in what will be the pair’s eighth year together. Hunt says it is invaluable to him having that “awesome partnership” with Rawstorn, where he knows exactly the way the pace notes will be delivered. “Like any partnership, normally the longer it goes on, the better and stronger it becomes,” Hunt says. 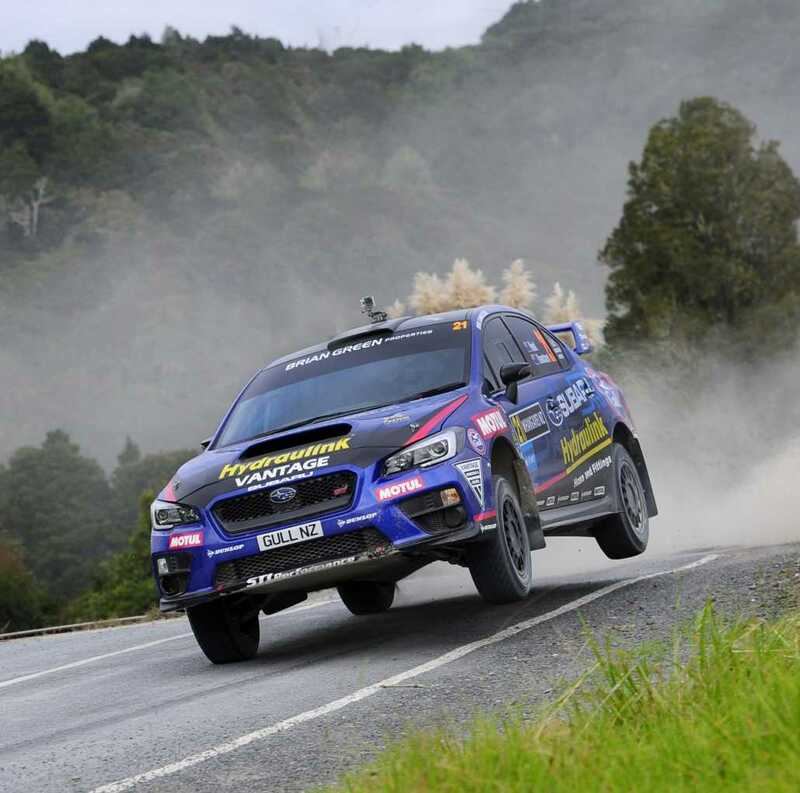 He thanked all his sponsors for their support for this six-round season and also credited Speedhub Motorsport for all their work behind the scenes ensuring everything is ready for the 14-stage Rally of Otago. The two-day event begins on Friday night with the ceremonial start in Dunedin’s Octagon from 5pm. On Saturday the rally cars leave the Southern Cross Hotel at 7.30am for seven stages, including the tarmac special stage around the wharf area by the Anzac Ave over-bridge from 3pm on Saturday. Sunday will see the record field of 130 cars complete another seven stages.